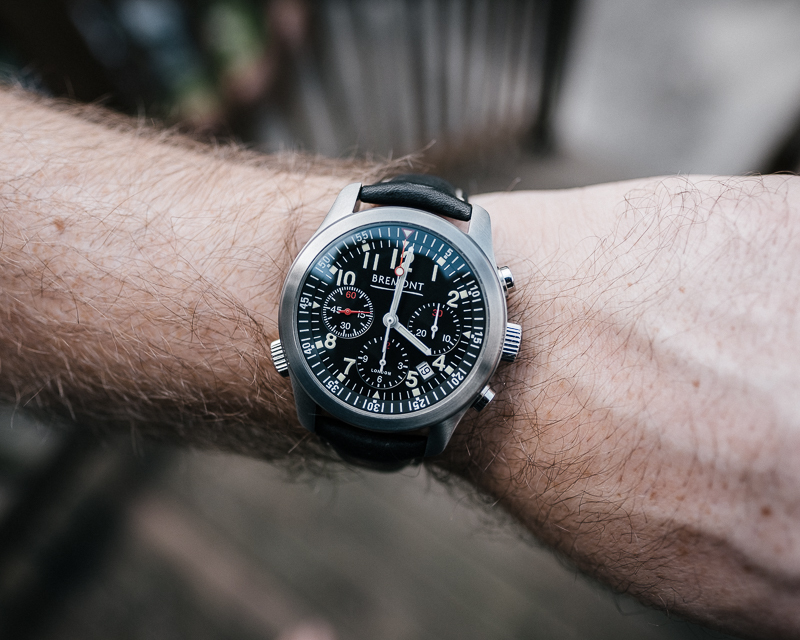 Just got one of these in, I've always been a fan of what Bremont has been doing... Really stoked to be able to get to check out one of their Chronographs. Initial impressions are good, it's a sizable piece, 43mm wide and 16mm thick, but it wears nicely. Glad I snagged one of the first gens that still has the roto-click bezel. I'm also thoroughly impressed by their movement decoration... It's a good lookin' movement. Love these old school Bremonts and especially this one. Congrats--almost bought the blue dial version...Really dig the barrel and lug shape on the Bremonts..
That's a cool watch. Just a heads up, looks like you might have a spec of dust just below the Bremont logo. Congratulations! I love my Alt1-Z. Bremont does it right. Great watch. 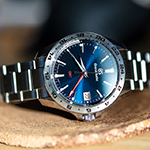 We've talked on the Watch Wabi group before. I'm sure you'll be able to find a good home for it at your asking price. Falssi wrote: Great watch. We've talked on the Watch Wabi group before. I'm sure you'll be able to find a good home for it at your asking price. Did you notice the date of the original post?? ?